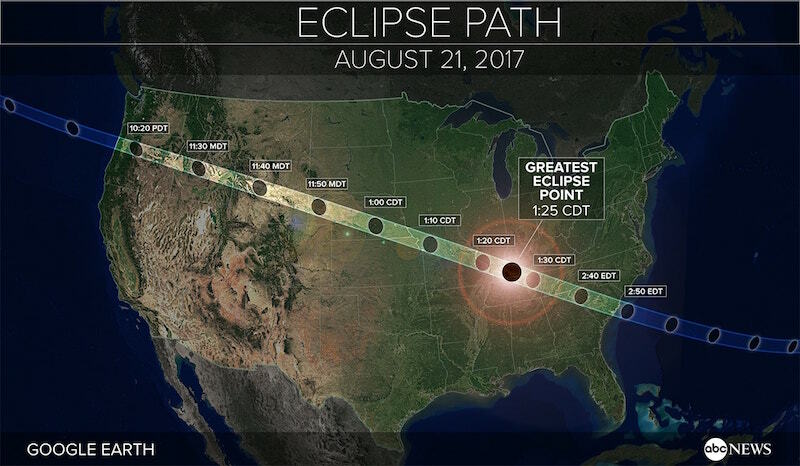 On August 21st all eyes across America will be on the skies, for a once in a lifetime astronomical event, a total solar eclipse and the first to cross the US coast to coast in 99 years. During the past weeks and months, the media has been buzzing with anticipation. 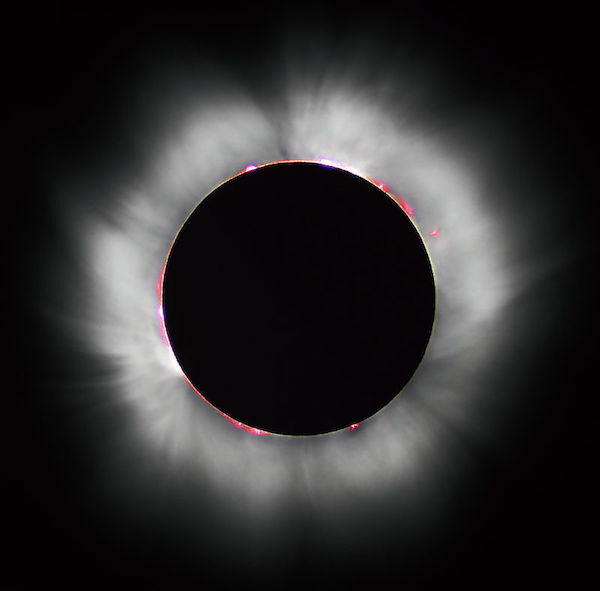 Everything from tips on how to observe the eclipse to details of the science which can be gained from such an event and why it all really matters. Hotels on the path of totality have sold out, many charging hundreds more than normal and traffic, particularly in states such as Oregon where the eclipse will first be seen, is predicted to be at unprecedented levels. 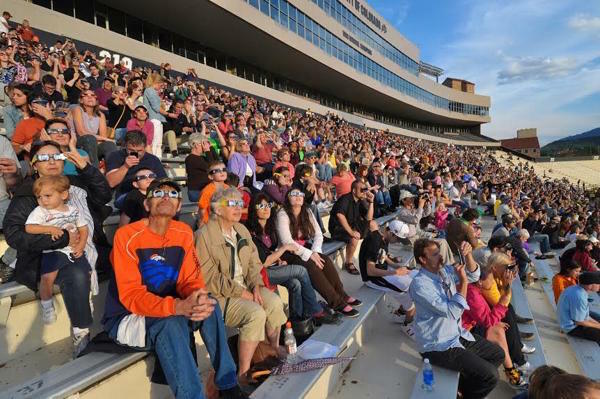 It is estimated that some 200 million Americans live within a day’s drive of the path of totality, with many more tourists flying in from abroad. All this anticipation and excitement for an event happening in space. An event that occurs due to sheer serendipity or fluke, that the Moon happens to be roughly 400 times smaller than the Sun and the Sun 400 times further away than the Moon. Yet the fascination from people of all walks of life is there and it is a great example of the appeal and the draw of space. But by millions of Americans simply looking up, as well as interest from around the globe, it helps to rekindle our own curiosity about what is out there. This is something which peaked in the heady days of the 1960s, as the Space Race took over the world’s imagination. However, things turned out a little different to what was predicted. We haven’t been to Mars, we don’t have holidays in space and although we are living in a Space Age, it is certainly not the one we expected. If you travel to Queens, New York, you can still see the ruins of the 1964 World’s Fair, complete with Vintage Space Rockets above the tree-tops. It’s easy to see why the excitement of space isn’t what it once was. Yet the eclipse is coming at an exciting time. The public appetite for witnessing it, coincides with a growth once again in our appetite for space. This October it will be 13 years since the Ansari XPRIZE was awarded. The culmination of this saw the private company Scaled Composites with their craft SpaceShipOne, cross the karma line twice in two consecutive weeks making pilots Mike Melvill and Brian Binny the world’s first commercial spaceship pilots. Since then there has been growing anticipation for human spaceflight involving non-government organisations, as well as some frustrations about why it hasn’t happened sooner. But it is safe to say the tide is finally turning and we are on the verge of this happening. Take for example SpaceX, with 11 launches this year and 8 successful landings this is already more than the company achieved all of last year. In fact, every landing attempt the company has made so far this year has succeeded, taking them closer to full rocket reusability. This matters because by making rockets reusable it reduces the cost, and increases the access, to space. ‍Image credit: Wikimedia commons. World’s first commercial flight in 1914. The early aviation example is one of the best ways to describe where we are with space tourism and why with prices. 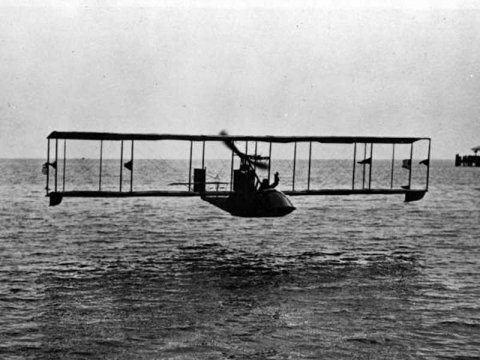 “The first winged commercial passenger paid $400 in 1914 (that’s more than three months of wages for a typical worker) for a novelty flight, 21 miles down a river in Florida. The world’s first winged airliner carried just 10 passengers – mostly rich celebrities. Then in 1951, almost 40 years later, tourist (or coach) class was created, followed shortly thereafter by the first wide-body jet for mass transit. We are in a similar place today with spaceflight, but with the added bonus that information spreads, and technology develops, a whole lot faster today.” Explained Space Angels CEO Chad Anderson during his recent TEDx talk. Of course, the current cost of a ticket to space is out of reach for the vast majority. And to date fewer than 600 people have voyaged to space nearly all of them elite government astronauts. Of those who have been, many have talked about the Overview Effect, the cognitive shift in awareness which occurs when you see out planet Earth from afar. “I don’t know how you can come back and in some way not be changed,” explained Shuttle astronaut Nicole Stott. The aim of Space for Humanity, is to give the experience of space travel to 10,000 people from all different walks of life. Space for Humanity will pay for the flights with commercial space companies, such as Blue Origin, with people then being able to return to Earth and influence their communities to get excited about space. “Over the next 10 years we have the opportunity to dramatically change that. We are potentially on the verge of the largest flowering of human perspective our species has ever seen. It will be critical though that a wide group of people have that opportunity.” Explains Taylor. This means sending people from all walks of life, some who likely would never get the chance to travel to space because the experience they gain could enrich life here on Earth. “We must project the best of humanity into space,” adds Taylor. For all the exploration which is space travel, the real benefits come from improving life on our own planet, be that through the science and technology of ‘looking back’ or the life altering experience of those who have seen the fragility of our planet from afar. And on Monday August 21st as millions of people look outward at the eclipse, there will likely be more awareness of space and what is beyond our own planet. All this, at a hugely exciting time for space exploration, where a new commercial space race is driving forward space in ways which seemed like science fiction only a decade ago.